Preventing excess wear to the internal parts of a compressor is crucial to obtaining maximum efficiency and reliability. SynGard™ Full Synthetic Compressor Oil is engineered from premium base stocks and combined with ashless anti-wear additive technology. SynGard Compressor Oil is ideal for use in rotary screw air compressors, centrifugal compressors, and can be used in other applications such as reciprocating compressors. 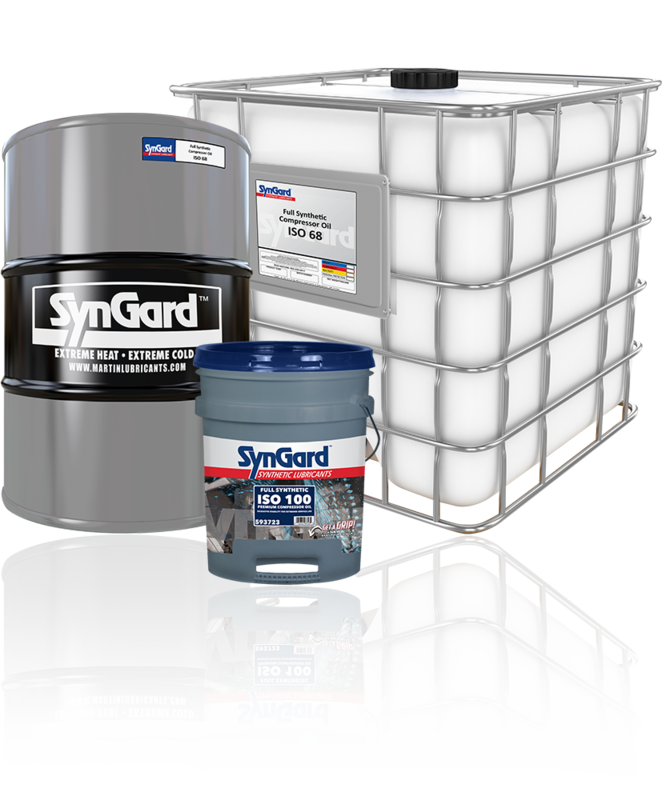 SynGard Compressor Oil is available in the following ISO grades: 32, 46, 68, 100, 150.